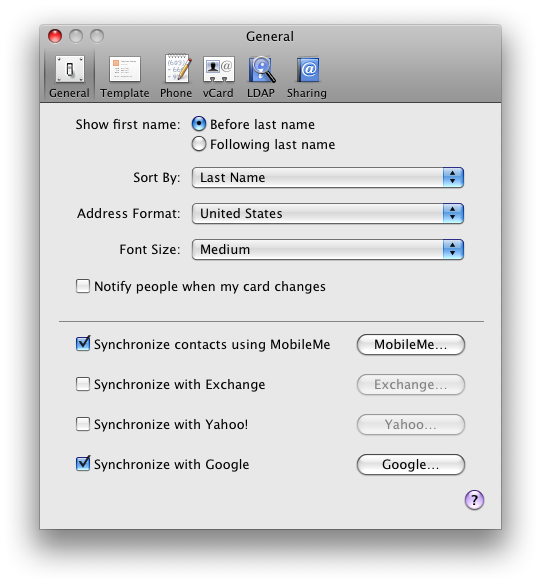 As a follow-up to Gmail, MobileMe, Address Book synced contacts sanity, this is a simple walk through on setting up OTA sync between your iPhone and Mac + Google. While some may question the value of such a post, this covers the requirements for syncing data which resides within your Google accounts using the free and paid for MobileMe option. Are you managing all of your events and contacts in the “cloud”? Not interesting in syncing your important data down to your machine to read, edit, and manage in iCal or Address Book? Check out NuevaSync. The beta service offers free OTA sync between your various Google Calendar & Gmail (Contacts) and iPhone or iPod Touch. NuevaSync can be setup and activated directly from your mobile device reaffirming the fact that a computer is not required. NuevaSync will not directly sync with your computer. NuevaSync is setup as a Microsoft Exchange server services. This beta service is intended strictly for syncing to your mobile device. Interested in pulling your Google Calendar + Contacts data down to your Mac for free? Apple recently released software updates (10.5) which support your Google account in both iCal and Address Book. Like Apple, Google has taken steps to properly document the steps to setup your software correctly. 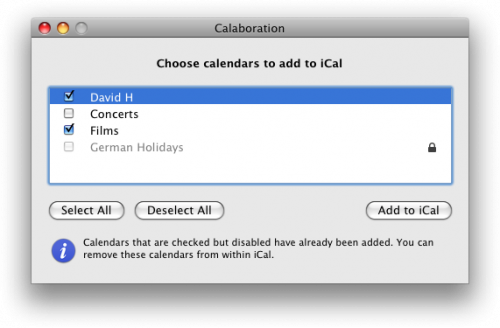 Check Getting Started with CalDAV. The related software download can be found on Google Code: calaboration. The process is simple and [only] requires that you download the software, enter your Google username and password, and select the calendars to sync. The requirement to sync your Google Gmail Contacts with Address Book is just as simple. Most of the details are posted in the Gmail + Address Book sync post a few days back. In short, open your Address Book Preferences and enable the ‘Synchronize with Google’ feature. Note the added convenience of creating a smart group which looks for updated contacts which makes it easier to track down recent sync changes. 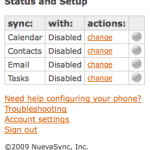 In order to sync data to your iPhone, utilize the free beta service NuevaSync (above) or make a physical connection via USB. Google recently released its Google Sync Mobile service. Find out more details on the new over-the-air sync service on the official info page. iPhone users can enjoy free OTA syncing for contacts and calenders. Note that the initial sync will delete your contacts and events off the phone. Weary trusting your Google Account data with a beta service? 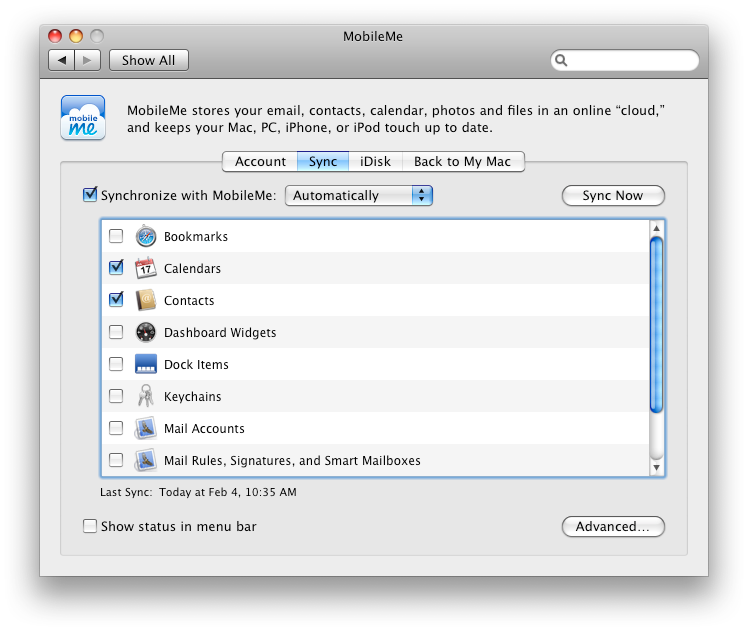 Your option for both Calendar and Contacts sync OTA between iPhone and Mac is MobileMe . While the annual subscription based service offers a handful of other “cloud” features, you can specify only Calendar and / or Contacts syncing. 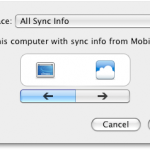 Open System Preferences > MobileMe > Sync. Specify your sync interval – automatically, every day, every week, or manual – and uncheck any sync services that you do not plan on using. 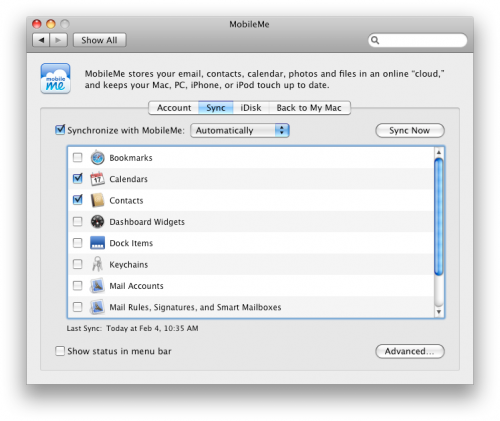 If you have made any significant changes to either iCal or Address Book, or are running into sync conflicts caused by another computer, you can force a reset of your MobileMe data (server side). 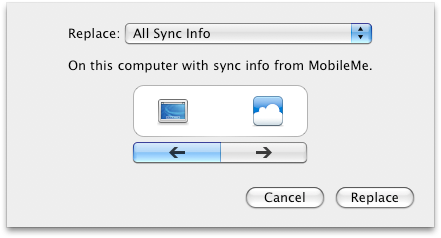 Towards the bottom of the MobileMe window, select the ‘Advanced…’ button, then ‘Reset Sync Data…’ on the next screen. From here you can force a reset of data either on a) your local computer, or b) data stored on MobileMe. Read the description and understand the action before proceeding. One service that I’ve begun using is a paid for background application called BusySync. With BusySync it’s incredibly easy to share iCal calendars with family or coworkers on your LAN without the need for a dedicated server. Shared calendars can be viewed and edited by multiple users, and changes are instantly published and synchronized with all users on the network. You can even make changes to shared calendars while offline and your changes will sync when you reconnect to the network. Those that have tried the WebDAV based sync between Google Calendar and iCal can attest to the fact that the syncing is not creating a real calendar object in iCal. Meaning? You can setup your WebDAV sync using the Google calaboration tool which will place events in iCal. However, if you happen to be syncing your iCal events OTA to your iPhone with MobileMe, it will not sync any calendars originating from Google. 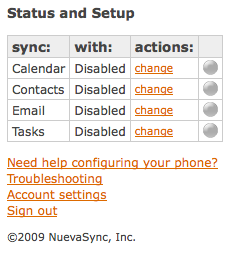 The solution would be to use NuevaSync to supplement your non-MobileMe sync. For users interested in a full suite of “cloud” services like photo / video gallery sharing, easy web publishing, and file storage – without the need to administrate a real web server – in addition to OTA sync with their iPhone, check out MobileMe . Check out the full Google Mobile service for syncing contacts / calendars OTA. Are you using Google and an iPhone? Want OTA sync? Check out the free beta service NuevaSync. Looking for a free solution to sync your Google data with your iPhone and Mac? Make use of WebDAV and Address Book synchronization. 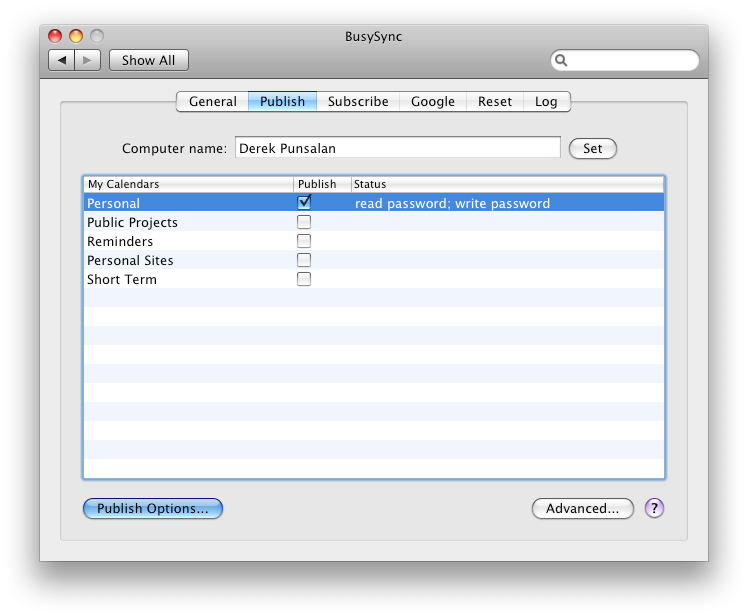 Try BusySync if you just want Calendar and Contacts sync without worrying about a beta service or paying the MobileMe annual subscription. Newer: iTunes Genius a Dunce? Check out "ilikebsides"